^ Interview with Steve Purcell. Sam and Max UK. [2015年12月11日]. ^ 2.0 2.1 2007 Eisner Awards Shine Spotlight on Comic Industry’s Best. 聖地牙哥國際動漫展. [2015年12月11日]. （原始内容存档于2007年9月26日）. ^ 100+ Alumni of Note. 加州藝術學院. [2015年12月11日]. （原始内容存档于2014年1月4日）. ^ 4.0 4.1 The History of Sam & Max Part1,cont'd.... Telltale Games. [2015年12月11日]. （原始内容存档于2007年11月4日）. ^ 5.0 5.1 Erik-André Vik Mamen、Philip Jong. Steve Purcell. Adventure Classic Gaming. 2010年8月25日 [2015年12月11日]. ^ ChrisKohler. Interview: Sam & Max Creators On How Games Wag The Dog (And Rabbit). Wired. 2011年12月7日 [2015年12月11日]. ^ 7.0 7.1 The History of Sam & Max Part2:The Gloden Era. Telltale Games. [2015年12月11日]. （原始内容存档于2007年6月30日）. ^ 8.0 8.1 Steve Purcell. The World of Monkey Island. [2015年12月11日]. （原始内容存档于2015年6月5日）. ^ 9.0 9.1 Frank Cifaldi、Simon Carless. Playing Catch-Up: Steve Purcell. Gamasutra. 2005年7月25日 [2015年12月11日]. ^ Defenders of Dynatron City. mixnmojo. [2015年12月11日]. （原始内容存档于2007年8月19日）. ^ Sam & Max Hit the Road. Allgame. [2015年12月11日]. （原始内容存档于2014年12月10日）. ^ Herc's Adventures. Allgame. [2015年12月11日]. （原始内容存档于2014年12月10日）. ^ The Curse of Monkey Island (Windows). MobyGames. [2015年12月11日]. ^ The History of Sam & Max Part3: Sam & Max Hit it Big. Telltale Games. [2015年12月11日]. （原始内容存档于2013年1月23日）. ^ Hellboy Christmas Special. Dark House. [2015年12月11日]. ^ MrManager. Monkey Island movie art?. ScummBar. 2005年1月9日 [2015年12月11日]. ^ Ashley Day. Tales from Monkey Island. Retro Gamer (Imagine Publishing). 2009年, (70): 35頁. ^ Dalixam. Steve Purcell artwork. The World of Monkey Island. 2007年6月7日 [2015年12月11日]. （原始内容存档于2015年6月5日）. ^ The History of Sam & Max Part4,cont'd.... Telltale Games. [2015年12月11日]. （原始内容存档于2007年12月31日）. ^ Sam & Max resurrected. Gamespot. 2005年9月15日 [2015年12月11日]. （原始内容存档于2012年10月8日）. ^ Ludwig Kietzmann. 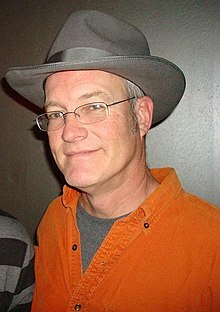 Joystiq interviews Sam & Max creator, Steve Purcell. Joystiq. 2007年3月6日 [2015年12月11日]. ^ Jason Dobson. Sam & Max Surfin' the Highway bundles games with funny. Engadget. 2009年4月8日 [2015年12月11日]. ^ Cars (2006). AllMovie. [2015年12月11日]. ^ Samad Rizvi. Sam & Max’ Creator Steve Purcell Credited As Co-Director Of ‘Brave’. The Pixar Times. 2012年5月4日 [2015年12月11日]. ^ Jim Hill. Galyn Susman Talks About Pixar's First Ever Christmas Special, Toy Story That Time Forgot. HuffPost Entertainment. 2014年12月2日 [2015年12月11日]. ^ Ashley Day. Tales from Monkey Island. Retro Gamer (Imagine Publishing). 2009年, (70): 32頁. ^ 27.0 27.1 Interview! Page1. Sam & Max: The Unofficial Website. 2000年 [2015年12月11日]. （原始内容存档于2004年8月22日）. ^ Interview! Page4. Sam & Max: The Unofficial Website. 2000年 [2015年12月11日]. （原始内容存档于2004年8月23日）.